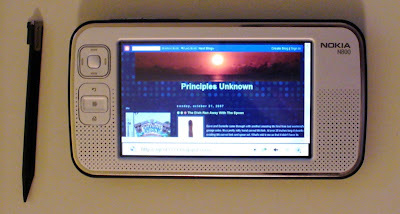 Principles Unknown: N800: iPhone envy? That's a nifty looking device. I think that can definitely hold you until your T-Mobile contract is up. By then there will probably be a 3G version of the iPhone available anyway.